A "dependent child" is a child who is in need of proper and effective parental care and control and has no parent or guardian who is willing or capable of exercising that care and control. A dependent child could also be a child who is destitute, or who is not provided with the necessities of life, including adequate food, clothing, shelter or medical care, or where the home is "unfit" by reason of abuse, neglect, cruelty or depravity by a parent, guardian or other person having care or custody of the child. A dependent child does not always require an inappropriate parent. For example, if a child has special needs, is out of control, or is a danger to others, even the best of parents could end up in a situation where the child is legally dependent. Typically, Department of Child Safety (DCS) does not get involved in a case unless someone has made a complaint. Once the government becomes involved, they can be relentless in their pursuit of a dependency. The State is not the only party that can file for a juvenile dependency. You may want to file a juvenile dependency petition to help a loved one who is in a bad situation. You want to help a child you love from him or herself or from his or her parent or guardian. In either case, services may be voluntary without court interaction, or mandatory with court interaction. The child may be removed from the home. Sometimes, they are allowed to remain in the home of the parent. Certain laws also give priority to certain placement types depending on familial relationships, and whether the child is an enrolled, or an enrollable member of a Native American Tribe. If the State does not believe the parent can parent or protect a child, even after they try to put the family back together, the State may file for a guardianship and aim to give legal custody of your child to another person. The State may, alternatively, file for the severance of the parental rights and aim to put the child up for adoption. There are also some situations where the child is not placed in a permanent home, and court oversight continues until the child reaches the age of 18. Department of Child Safety (DCS) and the juvenile court system is a maze. Robert Dodell has effectively represented hundreds of children and parents to help them navigate through this very difficult and complicated system. Robert has the expertise, the knowledge and the experience to help you deal with DCS and the juvenile court system. He is committed to fight for you. To help you in this most difficult time, contact Robert A. Dodell, Attorney at Law, directly by email me or by calling 480-860-4321 now for a free initial consultation. This firm is designed to take care of my clients during a very trying time. That includes offering free consultations and 24 hour availability. 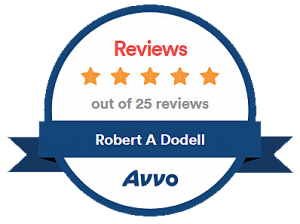 As a former prosecutor and 30 years practicing law, Attorney Robert A. Dodell brings experience, knowledge and can deliver results to help you. Qualified and experienced legal counsel should be affordable to each client needing legal representation. We can provide you with some of the most competitive rates. Our firm offers a free initial consultation to our clients. This is a difficult time for you and your family. We handle all our own cases and we can help you. We are committed to you, your case and we are with you every step of the way, from start to finish.